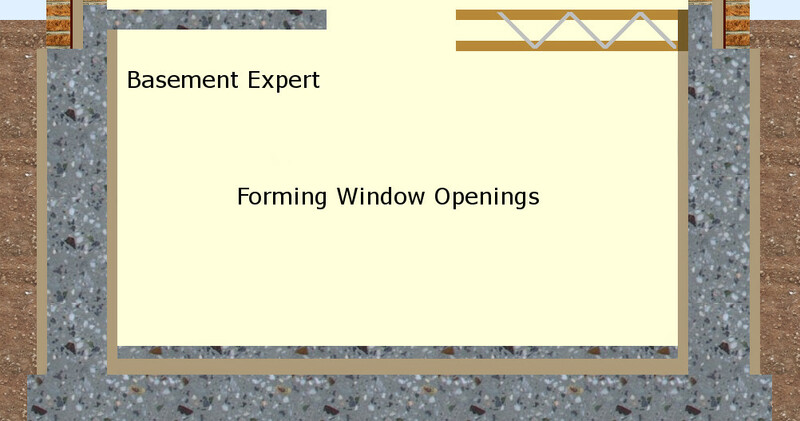 Forming Windows and Other Openings. Making a hole is easy. 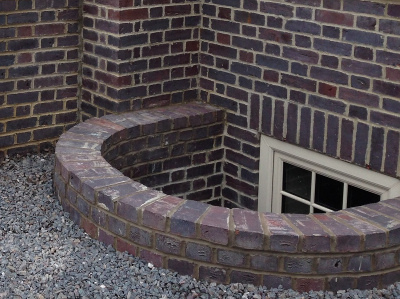 Making arrangements for your brickwork or render to continue seamlessly down and around your basement window to look gorgeous instead of tatty is worth the extra effort. 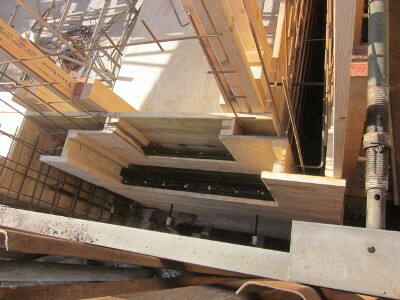 With timber formwork it should be easy to create a narrowing in the retaining wall for face brickwork around the window. 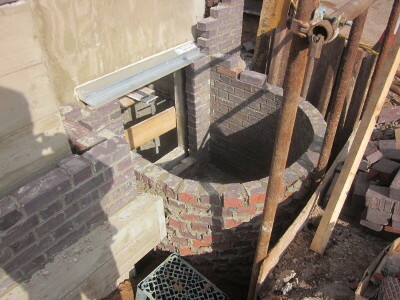 This narrowing was a brick and a half wide around the sides and 3 courses beneath the structural opening. 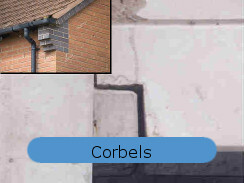 Where the inner skin of cavity wall is actually the waterproof concrete wall narrowed where it is is not retaining, your window waterproofing, DPC and cavity tray are all sorted. I believe that the basement insulation was all Celotex added inside. I don't recall how this customer made his basement insulation sufficiently continuous with his cavity insulation above ground; not least because my work was finished before he built ground floor walls. 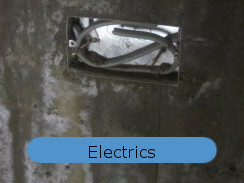 Details like that need to be drawn clearly by the architect. This wall also had a corbel for the plinth detail in the wall brickwork all round this basement where the ground level was a little lower than the ground floor inside. You are forming the opening that a window will go inside. But will the frame go in concrete or brickwork? You need to allow for insulation around the reveal as well. Perhaps 50mm on all 4 sides. 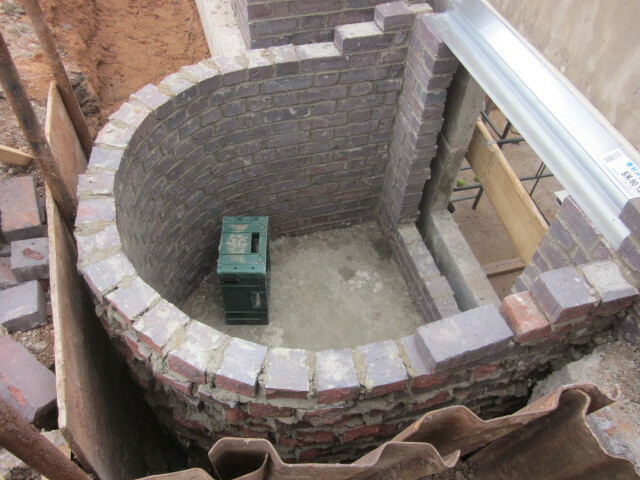 The inner opening is big enough, in this case, for a fire escape with insulation and plasterboard around the reveal. 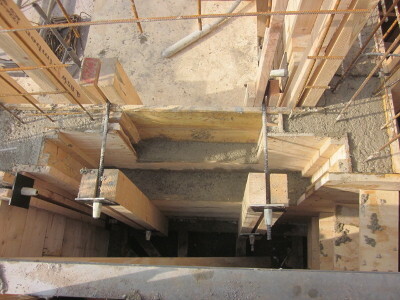 You want the concrete in the bottom of the opening to be to the right level and flat. Some people will tell you to blank the opening off and that the wet concrete will flow underneath and fill the void. I DON'T CARE WHAT ANYONE ELSE TELLS YOU, YOU MUST LEAVE THE BOTTOM OPEN TO FULLY COMPACT THE CONCRETE, ELSE YOU WILL GET A LEAK under the window and curing that will be horrendously difficult. 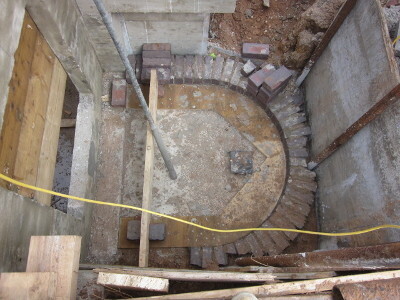 This means that as you go round with the concrete pump you will leave it a bit low in the bottom. An hour or so later take some concrete from the last load of concrete in a bucket and fill to the top. By this time the first concrete will be a little bit stiffer and you will be able to compact the concrete under the window opening thoroughly without the concrete beside the opening flowing down and overflowing. So, how did we make it. We continued the boards straight across the inside. 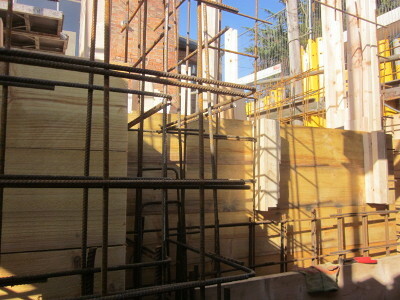 The concreting could all be sorted out more easily from the outside because of the lower ledge outside. First we put up sides for the inner opening, a piece of ply and one piece of 4x2 screwed together then screwed to the boards. 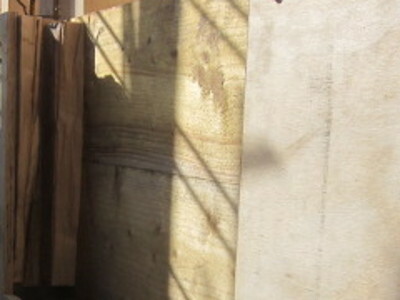 Then we screwed a second piece of 4x2 to the ply. 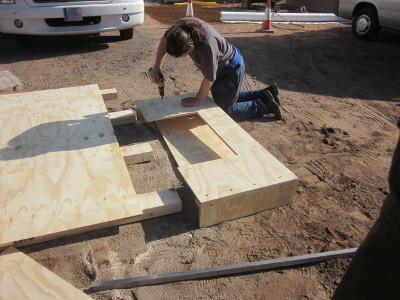 In the comfort of outside the excavation we cut ply to the size of the outer opening cut out for the inner opening. We screwed sides for the outer opening to this before taking it down to the window we were forming. Next we screwed this in place. Finally we completed the outside of the form with boards, this time cut to give us access to work the concrete in the bottom. 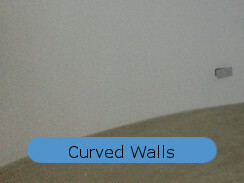 I helped this customer until we poured the walls to about half height. He was fine on his own after that I only went back for the next pour, by which time all the opening formwork was complete. All the photos down to here were the same opening. From here they are from different projects. 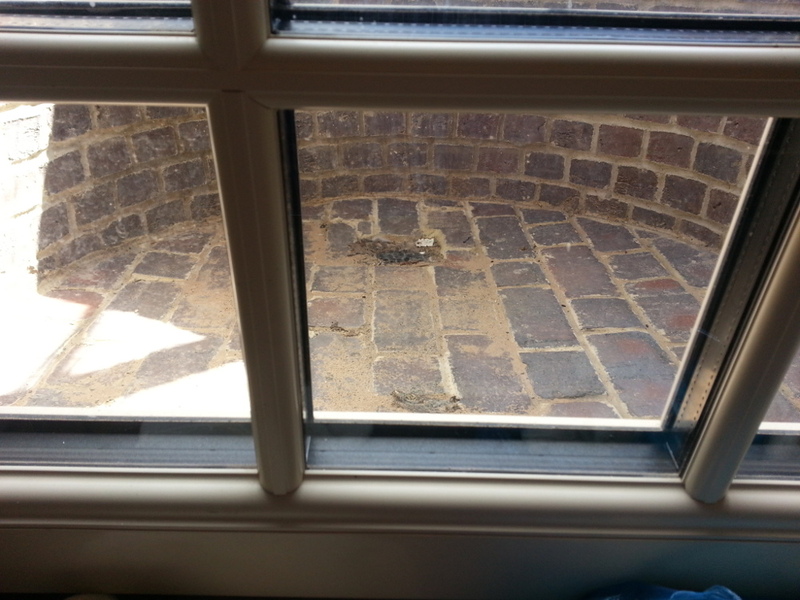 This wall with a window is a single thickness throughout because the client had insulation outside then blockwork as well. 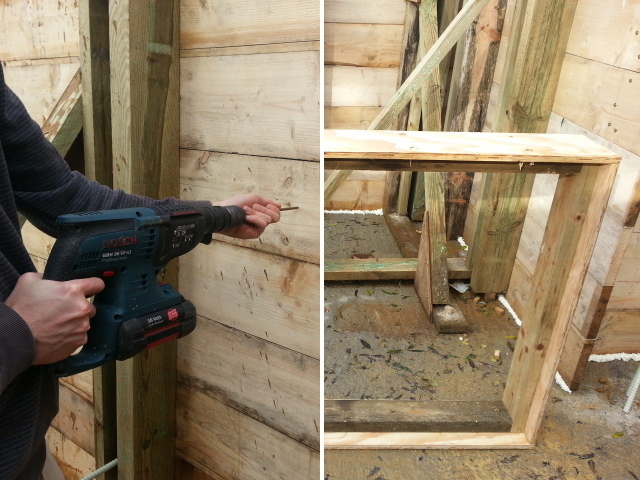 The carpenter just made a simple frame and screwed though the boards to hold it in place inside the shuttering. This means that the concrete had to hopefully flow under this frame to be flat and full beneath it, which I advise against. If you do this anyway, it is vitally important there are holes in the bottom of the frame to let air out from beneath when the concrete gets vibrated either side to make it flow underneath. Clearly there would have been more work to leave the bottom open and provide access to float the wet concrete level. The trouble with not floating it off is if it is low the concrete has gone hard and you have removed the formwork before you find you need to bring the level up, and that means scabbling the surface and forming sides again before you can put the concrete right. I had an opening many years ago where we let the concrete flow under, which it did fully, but it wasn't successful because the concrete under the window wasn't compacted and it leaked. It worked this time because this experienced gang took care.